Think back for a moment on the greatest gift you have ever received. How did it feel when you saw it? Did it make you want to jump for joy? Did you feel like someone loved you a whole lot? Yes, that’s how a great gift makes you feel – like you want to share it with the world. 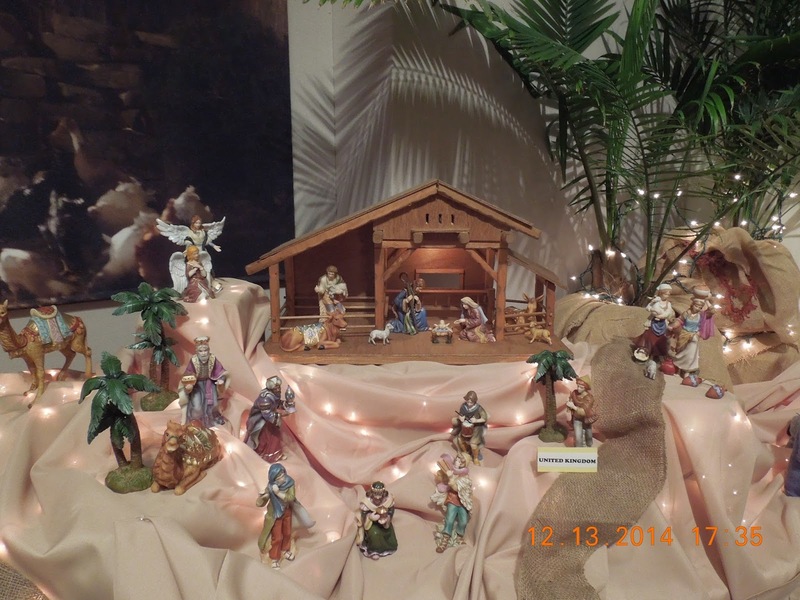 Now imagine the manger scene and the announcement of the birth of the Messiah. Picture the awe of the shepherds as they watched the angels singing in the skies proclaiming the good news. Feel the anticipation of the wise men who traveled such a great distance to bring their gifts to a newborn child they weren’t sure they would even find. Sense the joy and wonder Mary and Joseph felt as they watched in awe as the angelic and kingly visitors encamped around them. Something truly miraculous was happening. The people of Israel had not heard from God for over 400 years and then the news of Jesus burst upon the scene and the destiny of mankind was changed for eternity. Hope was born. Peace showed up and love was given to all. As we celebrate the fourth week of Advent, let us focus on the gift of Love. True love shows itself in action, in giving. It is in giving of ourselves to one another we show love. A smile, a phone call, a thoughtful gift; these are simple ways we show we care enough to take time out of our busyness to connect. When we are just as concerned about another’s well-being and happiness as we are our own and take action towards that end, this is love. The gift of Jesus was the greatest expression of love God could ever give us. As the shepherds and the wise men stopped what they were doing to behold the miracle before them, so too, let us pause and reflect the miracle of Christ’s birth and what it means to us today. When I am feeling lonely, Jesus promises he will never leave me nor forsake me. If I am hurting, he heals my wounds and my heart. When I am afraid of what the future holds, I can rest in the knowledge that He has a future so much brighter than anything I could imagine. Jesus loves us so much that He left his royal throne in Heaven to come down to earth to bring us the most precious gifts of all: hope, peace, joy and love. This is truly something to celebrate and to proclaim. My heart overflows when I think about how much God loves me and it is out of the overflow of the heart that we are able to give to others. Who do you know who is hurting, lonely, or perhaps joyless this season? Will you be Jesus to someone this Christmas? When we do unto the least of these we do unto God (Matt 25:40). This Christmas may the wonder of the love of God fill you to overflow. May you understand how wide, how long, how wide and how deep is the love of God for you (Eph 3:18) and may you share that love with those around you who need it most. Merry Christmas and glory to God in the highest.